On this web site, you will find info on the prohibit alcohol temperance movement. The probation in America of alcohol and liquor has been a hot political issue since 1919. This web site provides information to those participating in wet dry elections and provides adverting information such as campaign yard signs and bumper stickers. Every campaign needs advertising resources, yard signs, bumper stickers, and election items. What does the Bible say about drinking and alcohol? 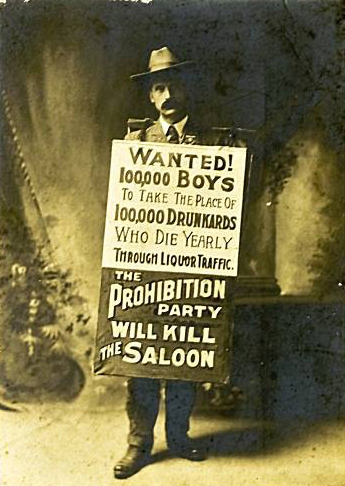 The Prohibition Party has been in existence since 1869, and has had a Presidential candidate each election year. 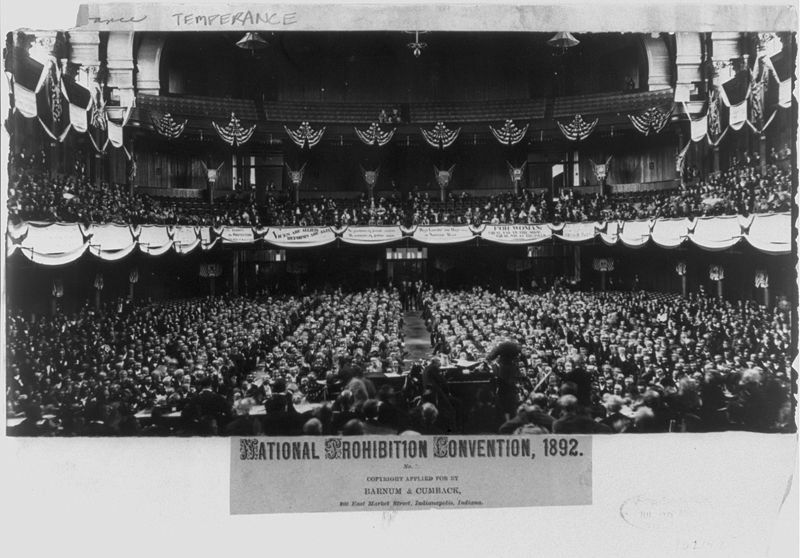 The Prohibition Party was founded in 1869. Its first National Committee Chairman was John Russell of Michigan. It succeeded in getting communities and also many counties in the states to outlaw the production and sale of intoxicating beverages. At the same time, its ideology broadened to include aspects of progressivism. The party contributed to the third-party discussions of the 1910s and sent Charles H. Randall to the 64th, 65th and 66th Congresses as the representative of California's 9th congressional district. Election of Governor of Florida. Sidney J. Catts of Florida, was the Prohibition Party nominee, and was elected Governor of Florida in 1916. The Platform of the Prohibition Party reflects mainstream conservative values that most Americans believe in. Media interviews. - Newspaper or Talk Radio. Contact us for a media interview. We are ready to answer your questions. For a newspaper or for a live radio interview, contact our Presidential Prohibition Candidate for 2012, Jack Fellure. Phone 304-562-2187. State your Opinion on our Prohibition Blog. Yes or No, Do we need some types of Prohibition in America? Prohibition In America - Is it Needed? What are your comments and thoughts about Alcohol and Prohibition, Pro and Con? Do we need to expand Prohibition in America, and why? Can a Drunkard go to Heaven? Post your comments here on our Blog? Does the Bible clearly teach that a person should abstain from alcohol? God's Word from the Bible Scriptures thanks you for visiting our site. Please come back to view updates. 26 Wherefore if they shall say unto you, Behold, he is in the desert; go not forth: behold, [he is] in the secret chambers; believe [it] not. The Bible has a lot to say about alcohol and the abuse of drinking too much liquor.